Central Coast Long-Term Environmental Assessment Network (CCLEAN) - Applied Marine Sciences, Inc.
AMS led the effort to design the Central Coast Long-term Environmental Assessment Network (CCLEAN) regional monitoring program and provides ongoing technical direction and management. 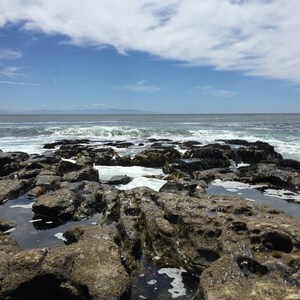 This program is funded by four municipal dischargers and an industrial discharger, under direction from the State of California Central Coast Regional Water Quality Control Board. Based upon a consensus-building approach, the program was designed to satisfy regulatory requirements, as well as to document the status and trends of important water quality indicators in the area. Since its initiation, CCLEAN has provided the umbrella organization for pursuing grant funding and outside collaborations to expand its capabilities. Two recent California State Grants, Propositions 13 and 50 respectively, were awarded to CCLEAN to support additional research into causes of mortality in the Southern Sea Otter populations resident in Monterey Bay.